I am a scholar and poet based in Montreal, Canada, where I teach in the English Department of Dawson College. M J Banias and A M Gittlitz carry on a wide-ranging and often quite acute conversation orbiting capitalism, Marxism, and things ufological on Banias’s weekly webcast, Café Obscura. More rewarding than reading my offhand responses below, go, watch it, now. First, how difficult it is to extract such discussions from anthropocentric reflexes. On one hand is the unwarranted assumption that any visiting extraterrestrial Other would immediately perceive homo sapiens as their complementary Other: as I pointed out criticizing Schetsche’s and Anton’s recent book on exosociology, that assumption was overturned in even such a low-grade science fiction as Star Trek IV: The Voyage Home, where the extraterrestrial Other completely ignores the human civilization sprawled over the surface of the earth. On another hand is the more urgent and radical relation Herbert Marcuse remarked between the exploitation of other human beings and that of nonhuman nature, the two being essentially identical, such that the liberation of the one entails the liberation of the other. Second, the very refreshing allusion to Charles Medede’s article How Capitalism Can Explain Why an Encounter with Aliens Is Highly Unlikely that outlines how capitalism is both the result of a very local and highly contingent historical development and the very condition of the kind of technological civilization we inhabit and imagine extraterrestrials to possess, too. The persistently unconscious projection of an accidental time and place in human history onto all intelligent life in the universe needs to be vigilantly called out in every instance. Finally, A M Gittlitz’s constant reiteration of the truth that arguably drove the researches of the Frankfurt School, that, since material scarcity is economically unwarranted, its persistence must be due to other factors (for the Marxist, social ones). Gittlitz is especially insightful when he puts his finger on the fact that any suppressed free energy technology would be immediately monopolized upon its being disclosed, regardless of its human or extraterrestrial origins. That such utopian technologies would emerge spontaneously governed by the capitalist order in this way seems lost on proponents of disclosure such as James Gilliland and Foster Gamble. What’s very compelling is how the belief in and drive to reveal suppressed technologies implies a cognitive dissonance in the believers in disclosure. Gilliland, Gamble, et al. tend to be politically reactionary, in Gamble’s case, vaguely libertarian. However, the general distribution of the technologies they believe suppressed would undermine the economic base that supports capitalist social relations. In this way, those pressing for disclosure are bourgeois reactionaries dreaming of a socialist utopia! It’s been a morning rich in synchronicities. 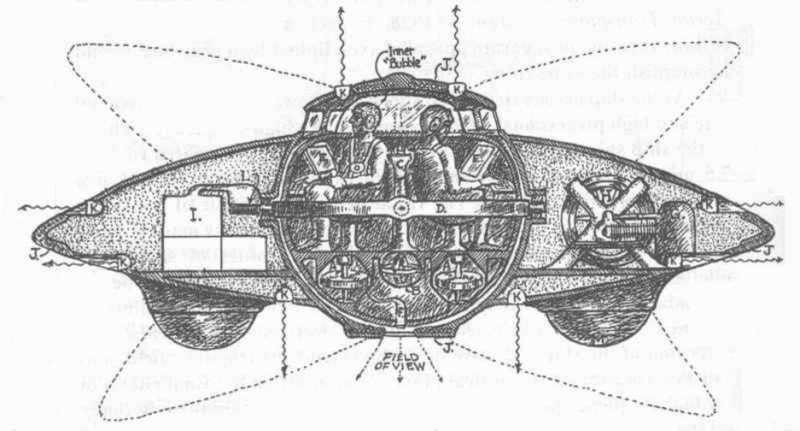 I was working on a forthcoming review of D W Pasulka’s American Cosmic: UFOs, Religion, and Technology, wherein I had bookmarked the section concerning synchronicities and religion, as I had planned to integrate some of her reflections in my previous post. I had already read (synchronicitiously!) during my morning coffee-and-surf session an article about synchronicities and “information-ontology” (an article that calls for a response in itself!) that remarked Pasulka’s reflections, and my Facebook feed served up an article critical of the upcoming Peterson / Zizek debate, which, in turn, linked me to How Capitalism Can Explain Why an Encounter with Aliens Is Highly Unlikely by Charles Tonderai Medede. Anyone familiar with Skunkworks will know a long-standing and oft-repeated thesis of mine is that the thought of technologically-advanced extraterrestrial civilizations is merely an anthropocentric projection of one civilization on earth whose appearance has more to do with a tenuous thread of accidents than the triumphal march of a necessary (let alone a universal) Progress. And though I’ve been making this argument in various media since the mid-Nineties, never had I heard an echo (never mind glimpsed an affirmative nod) until I read Medede’s article. Medede’s argument is similar to mine: technoscientic civilization as is familiar to those of us living in the so-called “advanced” societies is the result not of some transhistorical cultural necessity but is the result of cultural and even climactic accidents, e.g., the advent of capitalism in the Sixteenth century or that of the Holocene whose temperate climate allowed for the development of agriculture and settled society. Medede’s account has the added virtue of weaving Capitalism into that history of contingencies that lead to the present precarious moment of modernity. Interested parties will read (if they have not already read) his article, linked above. My most serious disagreement with Medede is that the question “Why should aliens be technologically advanced?” “has never been properly considered”! Friday 1 March 2019 I was a passenger on WestJet flight WS 439 flying from Toronto, Ontario to Edmonton, Alberta, seated in the first row in the window seat on the left side of the aircraft, from which I could look south out over Lake Superiour. I saw a bright, vaguely oval luminosity, shafts of blue-white light extending from its top and bottom. It varied in colour from light blue to white to yellow. Its solidity was ghostly, sometimes translucent, sometimes disappearing altogether, and, at its brightest, quite solid and well-defined. Its brightness was such as to leave an afterimage. Its flight paralleled the plane’s. At all times, it seemed just behind or below the light cloud cover over the lake. The entire sighting lasted at least thirty minutes. But I have a—I admit, semiarticulate—feeling there’s more to this experience than the opportunity to observe a beautiful, chance atmospheric phenomenon and to better understand some UFO witnesses, though. On the one hand, my experience shares a feature with a certain class of sighting reports in that it was personal. While the most scientifically-compelling sightings involve multiple witnesses (and, ideally, measuring instruments), an equally curious category sees only some of several potential witnesses actually perceiving the anomaly, whether a UFO or other apparition, such as, most famously, the Blessed Virgin Mary. The individuality of my sighting is manifold. It is, first, spatiotemporally unique: I am unsure, but it’s not certain that other passengers on the same side of the aircraft would have seen the same thing, if anything at all, given sundogs or similar reflections depend on a geometry that relates the light source, the reflected rays, and the observer in a quite specific relation. Second, that I identified what I saw as a sundog or a reflection from the lake ice is unique to my education and my cultural context: that sundogs are explained as peculiar reflections from ice-crystals in the atmosphere depends on a sophisticated degree of meteorological and optical knowledge that must first be worked out then consequently passed down to subsequent generations. Most importantly, however, is the way what I saw was personally significant, which brings my experience even closer to that of a believer. As someone interested in the UFO both in terms of its mysterious nature and psychosocial effect, witnessing so striking an example of a classically-mistaken meteorological phenomenon is informative in a way it wouldn’t be to someone either uninterested in UFOs or dismissive of them. For those picked out by the phenomenon to be witnesses, the effect can range from a lifelong “itch” to understand just what in fact was observed to a lifechanging experience that upends one’s settled understanding of what is real and the nature of that reality. In the most extreme cases, one is so utterly changed as to become a latter-day contactee, in the manner of Adamski, Fry, or Angelucci. On the other hand is the nature of my report itself. What has been assumed throughout this discussion is the sincerity of my report. What Jacques Vallee and J Allen Hynek grasped, if not fully, is that in the first instance the ufologist works with sighting reports. Sociologists have already pried apart the process that leads from the sighting to the report, but what is less appreciated is just what this textual basis of ufology implies. Folklorists, such as Thomas Bullard, have studied the analogues between abduction reports and other narratives in both the European and American traditions. Indeed, the parallels between alien abductions, Faery encounters, shamanic initiations, Near Death Experiences, vision of the Blessed Virgin Mary, and other such narratives have been a longstanding and increasingly attended dimension of the UFO phenomenon. Fundamentally, however, over time, the sighting report has become a genre, a type of narrative, whose veracity and reference (truth) are framed and underwritten by the conventions of verisimilitude and the rhetoric (believability) of the genre. In this regard, ufology is a branch of literary studies, not because the varieties of its linguistic expression are fictional but because they are rhetorical and subject to a linguistic-typological analysis, or poetics. Sighting reports are written and read according to certain conventions, none of which have anything essentially to do with the reality or nature of what is being reported. The reader of a—my—sighting report, then, is in a situation not unlike the one I purportedly found myself in looking out that airplane window: something is (read) seen, but its (truth) nature depends on the eye of the (reader) beholder. Sometimes, like Rich Reynolds at UFO Conjectures, I roll my eyes over the ufological, which seems to perennially re-invent the wheel, only to spin it in the same, well-worn rut. The second scenario, the discovery of an alien artifact, is, by extension, no less problematic. First, it is assumed we could in fact recognize an alien artifact as such. The recent controversy over the possible artificial, extraterrestrial origins of ‘Oumuamua among institutional researchers or the longstanding if less respectable speculations that one or more moons in the solar system (including the Earth’s) may be artificial illustrate the problem. More problematically, any piece of technology sufficiently within our own relatively primitive, earthbound purview would be unlikely to belong to a spacefaring civilization, unless technology-as-such is fairly uniform throughout the universe and the discovery of warpdrive is right around the corner, or we have already back engineered the propulsion systems of crashed flying saucers or been taught their principles and construction by their manufacturers as part of an agreement, Faustian or otherwise, an arrangement within the parameters of Schetsche’s and Anton’s speculations but not likely one they would ascribe to. The third scenario is also all-too-recognizable among the cognoscenti. Offhand I can’t recall the earliest instance of Europeans-meet-the-Native-Americans analogy, but the prediction that direct contact would “destroy the social, economic, political and religious structures of countries” has a history that runs from the earliest, anxious investigations into the phenomenon by the United States Air Force to the most recent “After Disclosure” writings of Richard Dolan. It is curious that sociologists don’t explore the fact that for decades more than half of people in the developed world already believe in the possibility of extraterrestrial, intelligent life and its either having already contacted us or the possibility of such contact. Indeed, the default understanding of ‘UFO’ is “alien spaceship”. That the reality of the third scenario is in a sense already accepted, either as an all-too-mundane possibility or as a real if suppressed reality for believers, witnesses, or experiencers surely calls for sociological scrutiny, especially since the undeniably real social, economic, political, and religious disruptions we in fact suffer seem utterly unrelated to exosociological events. Of greater sociological import are the reasons why books like Schetsche’s and Anton’s obsessively repeat the anthropocentrisms outlined above, while ignoring the very real “social, economic, political, and religious” significance, effects and implications of this reflex and its projections. As Pasulka makes repeatedly clear in her recent study, regardless of whether “UFOs are real” the belief they are or may be has real world effects. Skunkworks has been at it a year now. The initial impulse behind this blog was to keep me honest. I’ve been at work (mainly on various drawing boards) on a long poem, whose working title is Orthoteny, that aspires to do for the UFO mythology what Ovid’s Metamorphoses did for classical mythology. And though I’ve test-flown various prototypes—poems such as “Flying Saucers”, “Will o’ the Wisp”, “Q’ Reveals the Real Secret Space Program”, and “Magonian Latitudes” and the sequence On the Phantom Air Ship Mystery—the work on Orthoteny had stalled, and when UFO Conjectures publicized my chapbook on the Phantom Airship Mystery, I imagined that developing the work in public would be a way of holding myself accountable. One way of getting toward the poem is to imagine the countless stories around the UFO as constituting a “modern myth of things seen in the sky” and to read it as such. Many of the posts at Skunkworks have been just that, interpretations of various aspects of the myth as it has been developed since 1947. Complementing this hermeneutic labour has been reading classics of the canon to grasp their respective contributions to the myth and the poetic resonances within and between them. But flying a parallel path to my poetic endeavors has been a cultural critical approach to the phenomenon. Already in 2000 with my collaborator Susan Palmer I published a study of the Raelian Movement International “Presumed Immanent” that argued that the UFO mythology was intimately bound up with and revelatory of the technoscientific spirit of modernity; that, like a collective dream, it expressed the anxieties and aspirations of the “advanced” societies and, at the same time, provided leverage for an ideological critique of that spirit; that, the UFO, like a funhouse mirror, reflected the truth of modernity back to it, but in a distorted form. Many of the posts here this past year have explored this thesis from various angles and in greater detail. And despite being avowedly concerned exclusively with the meaning rather than the being, nature or truth of the phenomenon, with what I have called “the UFO Effect”, as any assiduous student of deconstruction will know, such distinctions, by their very separating two fields, unify as much as divide. For this reason, I have, at times, touched on matters more properly ufological, despite always attempting to steer back into the phenomenological lane. On the immediate horizon is an omnibus review of three books that seek to bring ufology into the Twenty-first century, reviews of two books by religious studies scholars that touch on two different aspects of the phenomenon (one of which is D.W. Pasulka’s American Cosmic), and further entries in the series “Jung’s Ufological Bookshelf”. On the drawing board are more than a dozen other posts-in-the-working on the weaponization of the myth, various aspects of its sociopolitical implications, as well as some others on the peculiar logic of ufology. I hope too to address some English-language poetry about UFOs as a way of mapping what in fact has been accomplished in this direction. And of course given the nature of the phenomenon and the mill of rumour and speculation it drives I’ll be always on the lookout for synchronicitious inspirations for developments unimagined by my present philosophy to address. To this first year’s readers: thank you for your interest and your occasional interventions. And special gratitude is extended on this occasion to Rich Reynolds for outing my ufological predilections a year ago.